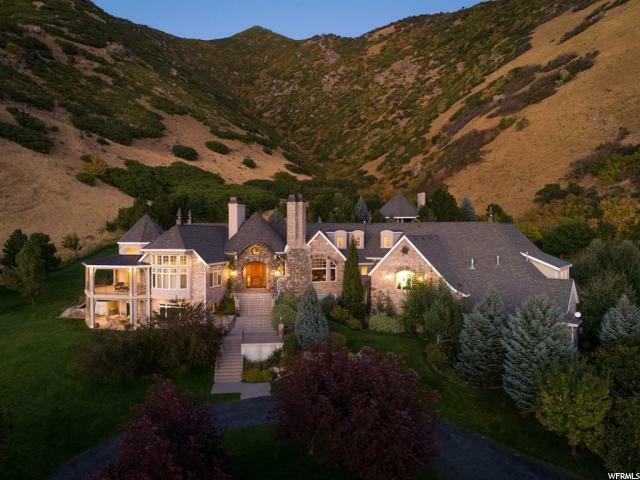 All Uintah homes currently listed for sale in Uintah as of 04/19/2019 are shown below. You can change the search criteria at any time by pressing the 'Change Search' button below. "Location, location, location & views, views, views! 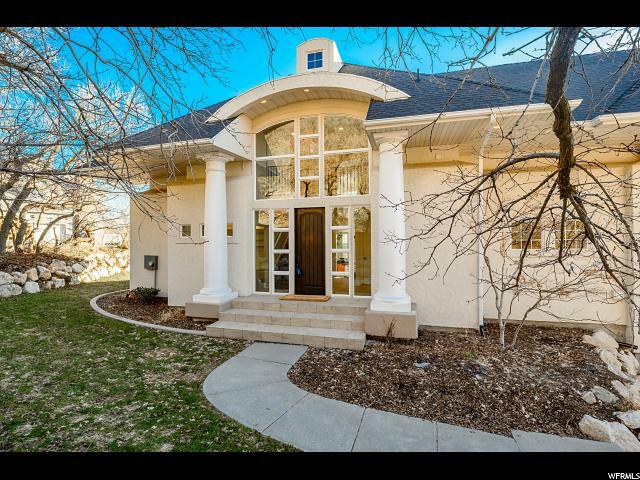 Stunning modern home in ultra-desirable high east bench Uintah neighborhood overlooking entirety of valley - the mountains are literally in your backyard and views of the lake, and wasatch front down to point-of-the-mountain are all visible as you sit high above the city lights. Have you dreamed of a home that brings the outdoors in? With three FULL walls of windows and atrium doors opening on to an enormous wraparound deck off the main level's great room you'll find this home's views, natural light and surrounding natural beauty are unparalleled. Three bedrooms and three bathrooms on upper level along with a second master suite, guest bedroom, family room, and 5th bathroom in the 15' high ceilinged, daylight, walk-out basement. All of this plus 1.15 acres of naturalized land for the ultimate in privacy and seclusion. A few additional details: Professional Jenn-Air Range & ventilation hood for serious cooks, wet bar off living & family rooms, two laundry rooms, spa-like master bath, double water heaters, extra height & depth garages with plumbing for future bathroom, Trex deck for the ultimate in easy maintenance, refreshed landscaping and all new sod in 2018... This is a rare diamond, you'll feel like royalty living here! Agent is related to seller." 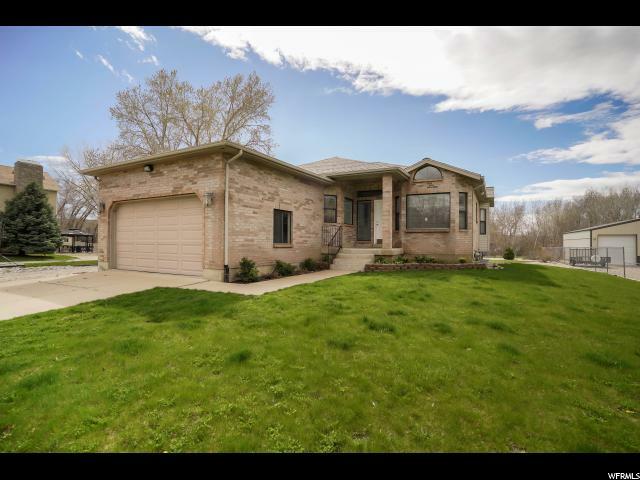 "This immaculately designed and well maintained two-story home is a rare find in Uintah, and offers serenity and comfort. Beautiful hardwood floors and rustic reclaimed barn wood accents add a touch of style. The main floor is both fashionable and functional with an open concept design and flawless workmanship in all the details. Exposed wood beams express a rustic appeal and the tile backsplash and quartz countertop ties in a modern feel to the space. With a large kitchen and dining room on one side and open living room on the other, this space is perfect for gathering friends and family. A rich, reclaimed wood handrail escorts you up the stairs to reveal a meticulously remodeled master bedroom, along with four other bedrooms each exuding their own charm and character. The bathrooms are near showpieces with intricately set tile and beautiful d cor. No painstaking detail was overlooked in the craftsmanship of this home. To the west of the home sits a double deep two car garage with 12-foot tall door and space galore for all the projects. The home and garage is surrounded by plenty of land for horses and other animals including an electric dog fence. " "Gorgeous home, set back on the mountain side, where you can sit back on the patio and gaze at the breathtaking view. Large living space for relaxing or gathering with family and friends. Oversized pedestal master bedroom suite and master bath, image soaking in the jetted tub, fitted for two, surrounded by a private mountain view."